Rev. 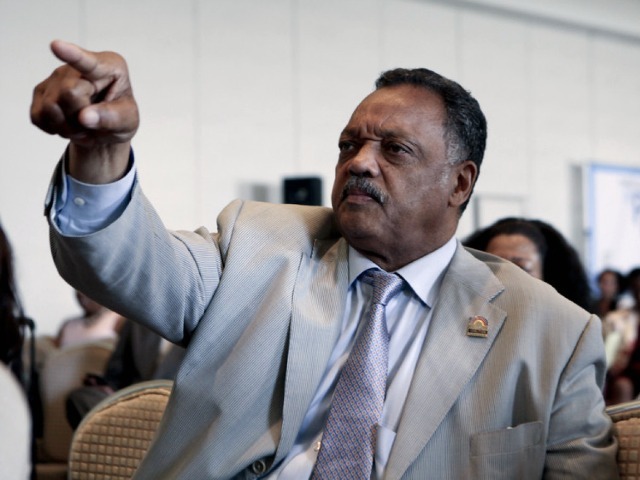 Jesse Jackson weighed in on the raging Duck Dynasty controversy over star Phil Robertson’s opinion on homosexuality, claiming, “the statements uttered by Robertson are more offensive than the… driver” of civil rights icon Rosa Parks’ bus. As Breitbart News reported on December 18, the central component of Robertson’s answer to the reporter was a recitation of 1 Corinthians 6:9-10. One would think a reverend would embrace the use of Scripture instead of condemning the man who recited it. I wonder if this will be a classic Jackson “shakedown” where memorabilia can continue to be sold as long as Jackson or his Rainbow PUSH Coalition get a little kickback.